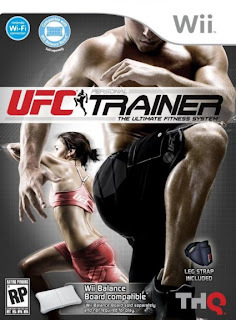 UFC Personal Trainer: The Ultimate Fitness System delivers a challenging and motivating UFC fitness experience that includes the best and most effective exercises utilized by todays renowned UFC fighters. Users will learn over 70 MMA and NASM-approved exercises, including moves from disciplines such as wrestling, kickboxing and Muay Thai, that are designed to improve strength, endurance and conditioning through use in a variety of routines. All 51 routines will be specialized to target specific muscle groups, as well as factor individual skill levels and fitness goals. In addition, users may focus on specific fitness objectives by building personalized routines with up to 12 different exercises. Each of the custom routines can be modified to increase ordecrease intensity of the products pre-set pace, enabling users to fully maximize their training experiences based on individual preferences.